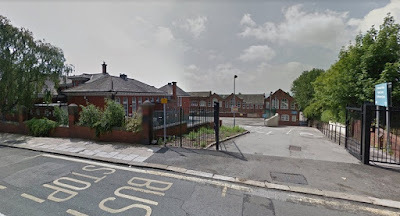 Rotherham Council is continuing with its plans to demolish a former infant school and won't be offering up the building for other uses. The authority applied earlier this year for approvals for the method of demolition at Kimberworth Infant School. The plans were approved but the issue has been raised with members and officers at recent Council meetings by residents who say that the community has not been consulted over the proposals. The Kimberworth Road site was formerly a secondary school, but most recently has been used by the Council and NHS after a replacement school, Winterhill School, was constructed nearby. The £2.9m children's services centre, known as Kimberworth Place, was completed in 2011. Services include physiotherapy, mental health, a short break facility and Learning Disability Services. Kimberworth Community Primary School is also on the site. It was explained this week that the Council has not designated part of the site as surplus to requirements but has proposed demolition to reduce the costs and utilise the land. The Council still has plans for the land on which the building sits. Cllr. Denise Lelliott, Cabinet Member for Jobs and the Local Economy at Rotherham Council, explained: "This building hasn't been declared surplus and is not subject to the asset transfer rules. Because we are retaining the land it is still part of the estate." Asset transfer principles and details have been established by the Council to enable the transfer of Council held land and property assets to the community in an efficient and sustainable way, for the benefit of the community as a whole. But it only applies to assets that have been deemed surplus. Residents say that the building would make an ideal community hub. Paul Woodcock, assistant director for Planning, Regeneration and Transportation at Rotherham Council, added: "If it is deemed surplus - the land, the building or both - then it would go through the procedure of proposed asset transfer, potential sale, consultation etc. Whilst the building is no longer required, mainly because of the dilapidation and its cost, the Council hasn't declared the site surplus so wish to retain that for its own use. "The Council has taken the decision to demolish the building to then utilise the land." In the short term the cleared site is set to be used as car parking. Longer term uses are not yet known. The local plan has the site earmarked for community use. Kimberworth Comprehensive opened in 1914 as Kimberworth Road Higher Standard School. When Kimberworth Council Infant School, which opened 1880, closed in 1923, pupils transferred to Kimberworth Road School. Kimberworth St. Mark's Infant School, which opened 1888, moved to Kimberworth Road Council Infants School in 1913.